Veganism is at an all-time high in this country. The lifestyle choice has its own expo, and it's coming to London in October. VegfestUK returns to Olympia to showcase the latest meat- and dairy-free concoctions. The two-day event presents almost 300 food stalls to try or buy, alongside a packed talks programme, cookery demos, live music and even comedy sessions. Now in its sixth year, Vegfest gets bigger each time. 14,000 people turned up to the 2017 event. The exhibition space has been extended this year to squeeze in the burgeoning cohort of vegans. 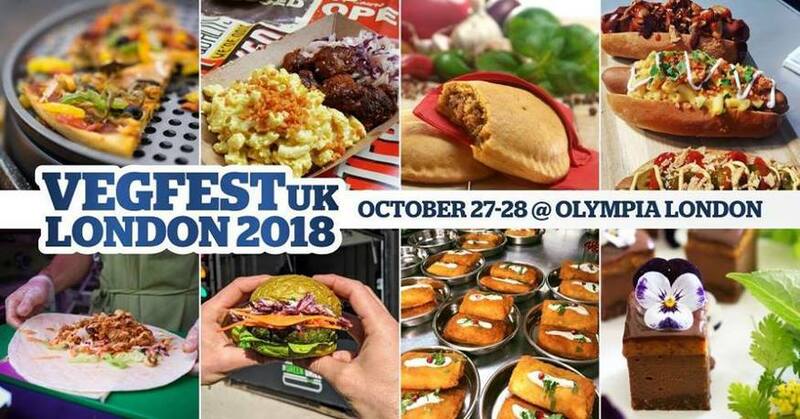 VegfestUK runs at Olympia 27-28 October 2018. Tickets here. Follow on Facebook.